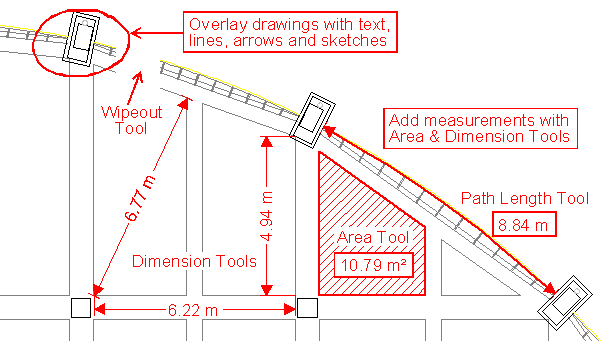 CAD Viewer 9.0 Markup provides all the capabilities of the standard version CAD Viewer 9.0 plus the extra ability to overlay the drawing with text notes and other red-lining elements such as lines, boxes and arrows. The drawing along with corrections or highlighted areas may be printed, saved to a PDF document, or saved to a raster image format. The source drawing remains untouched by the markup operations.